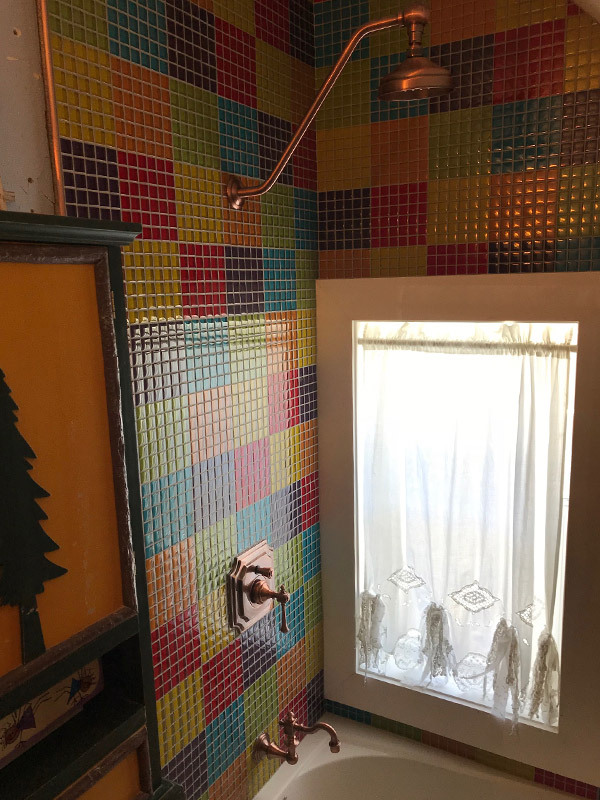 The home owner requested a bathroom that would make her feel happy. Together the home owner and Embassy Tile and Woodworking came up with the design. 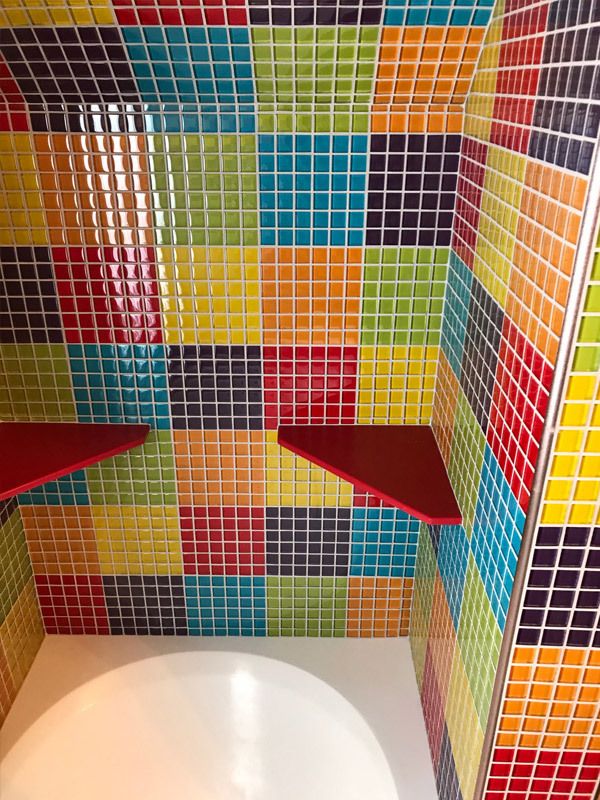 2" square tile make up the 12" square blocks of color. 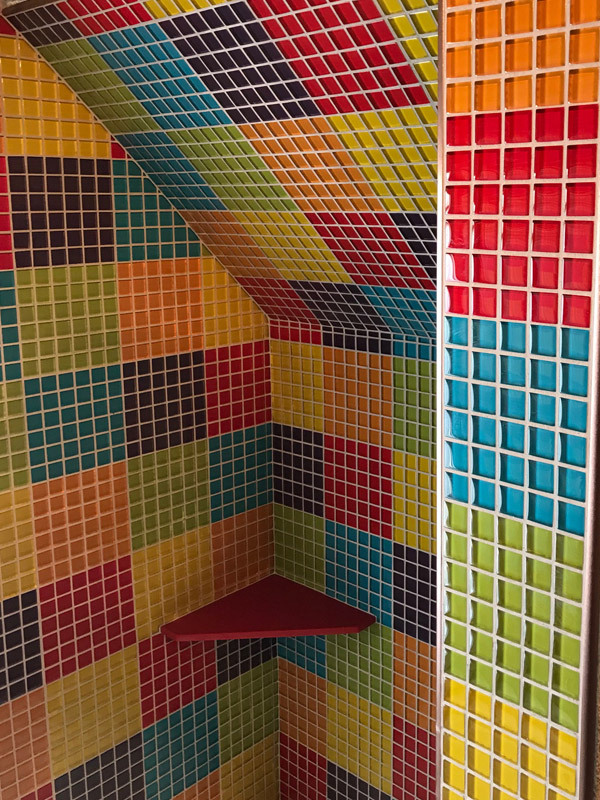 Six different colors were alternated giving the bathroom a fun vibrante feel. 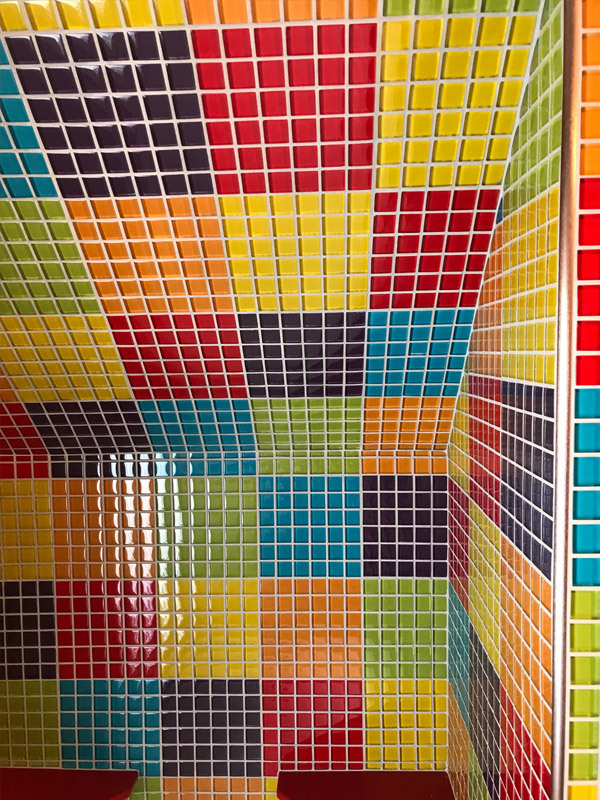 In the end mission acomplished, the colorful bathroom puts a smile on the owners face.